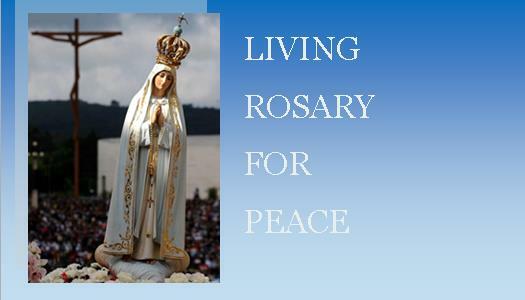 pray creating a Living Rosary for Peace and Conversion. Food and fellowship will follow. This event is sponsored by Catholic Diocese of Dallas, Catholic Conference & Formation Center, Marian Center of Dallas, and Court Our Lady of Light.